You are currently viewing an unpublished post because you are a site admin or a moderator. In the past few years MIDI hardware products have become smaller and smaller especially as many of them are meant to be used with mobile computing devices. But this has caused some issues as 5 Pin DIN MIDI plugs are pretty big. No one wants an accessory that's 10 times the size of the smartphone it connects to ! 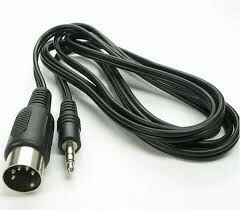 So recently many products have used a stereo 3.5mm minijack connector on the product itself with a breakout cable to standard 5 Pin DIN MIDI connector. Our friends over at http://createdigitalmusic.com recently posted an article about this topic. With their kind permission, we are reprinting it here. 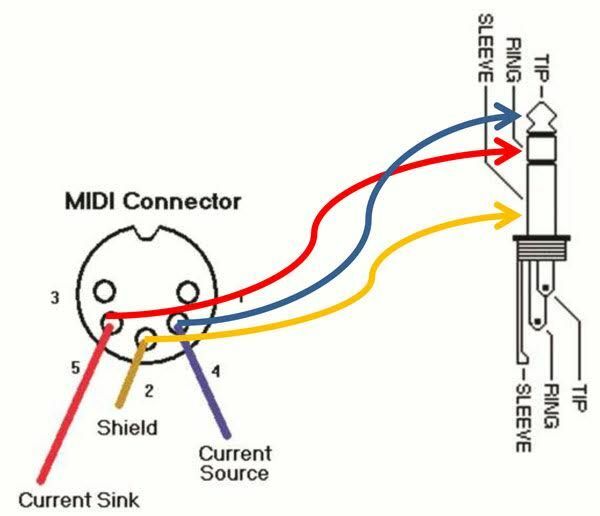 CreateDigitalMusic article on "What if we used stereo minijack cables for MIDI?" ​"It was acceptable in the 80s…"
The standard MIDI DIN cable – that's the big honkin' connector you use on most of your MIDI gear – has become the bane of music hardware makers. The problem is, as gear has gotten smaller, the standard DIN connector hasn't. And that's a big problem, literally. To add a MIDI port to a device, you need to not only have enough clearance for the connector itself, but the whole around the port and the physical assembly that contains it. Speaking as a hardware maker, that takes up space you can't even see from the outside. As a result, a lot of hardware that should have had MIDI in and out doesn't, to save room. Or it's forced to be thicker than it needs to be. Or it squeezes out other useful ports. To be clear,on devices that can fit a MIDI DIN, it still makes sense. It's a standard part, you've got the cables, you've got things to plug it into, and the connector is safe to use. But if it simply won't fit, something else is a must. And that's why other connectors are already shipping on gear. Imagine if they were all interoperable. Now, you may have noticed a lot of gear includes minijacks onboard. A stereo minijack (3.5mm "miniklinken") connector has three pins – and MIDI also has three pins. (Okay, it has five, but two are unused.) Look at the breakouts included in the box, and what you'll see is a standard 3-pin stereo minijack on one end, and then a standard 5 Pin DIN connector on the other. But here's where things get interesting. Imagine you have two pieces of gear, each with these minijack-to-DIN breakouts. And you want to connect them together. What would happen if you skipped the little DIN dongles and ran an ordinary stereo minijack cable between them? Well, whether it worked or not would depend on how that minijack connector itself was wired. So, I asked a few manufacturers, off the record and unofficially, what they were doing. It wasn't hard to convince people to talk about it; anyone who has ever dealt with this problem dreams of ditching DIN. It turns out most of them are using the same wiring – seen below. So long as you have two pieces of gear wired this way, you can connect them with a standard stereo minijack audio cable (that's a single stereo minijack at both ends). It's exactly the same as using a MIDI cable. Unfortunately, one other key maker is an outlier. Korg, which uses minijacks on its SQ1 sequencer and new ElecTribes, swaps Tip and Ring, unless I've got the wrong information. As long as you're comfortable soldering your own cables, you could solve that, but it means there isn't an immediate de facto standard. So, rather than wait any longer, I think it makes sense to go public. Rather than wait for a standard, all you really need is for manufacturers to start using this same wiring. And by all means, don't eliminate MIDI from a product just because DIN won't fit. The "post PC" age is turning out to be more reliant on MIDI than the one before it, from iPads to all-hardware live rigs. That's a pretty cool accidental standard. So maybe we should make it less accidental. PETER KIRN is an audiovisual artist, journalist, and technologist. Classically trained in composition and piano, he now focuses on live electronic performance. He is the founder of CDM (createdigitalmusic.com), a widely-read daily site that explores creative technology, and has contributed to Macworld, Popular Science, De:Bug, Keyboard, and others. 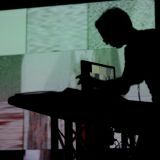 He teaches and develops open creative tools, including co-creating the open source MeeBlip synthesizer. Born in Kentucky, he is now based in Berlin. He is a PhD Candidate in Music Composition at The City University of New York Graduate Center. Performance presentations include B-Seite (Mannheim), Live Performers Meeting (LPM, Rome, IT), Patch A/V Festival (Krakow, PL), Frequency Festival (Lincoln, UK) CommuniKey Festival (Boulder, CO), Devotion Gallery (New York), In/Out Festival (New York), InterAccess Gallery (Toronto), the Lab for Electronic Arts and Performance (LEAP, Berlin), Dance Theater Workshop (New York), Boston CyberArts Festival Ideas in Motion (Boston, MA), Vorspiel at Supermarkt (Berlin), Silo Sessions at Mindpirates (Berlin), Krautok at about:blank (Berlin), and others. Lectures and workshops include Resonate (Belgrade), OFFF (Lisbon), re:publica (Berlin), Campus Party (Berlin), SONAR (Barcelona), and others.